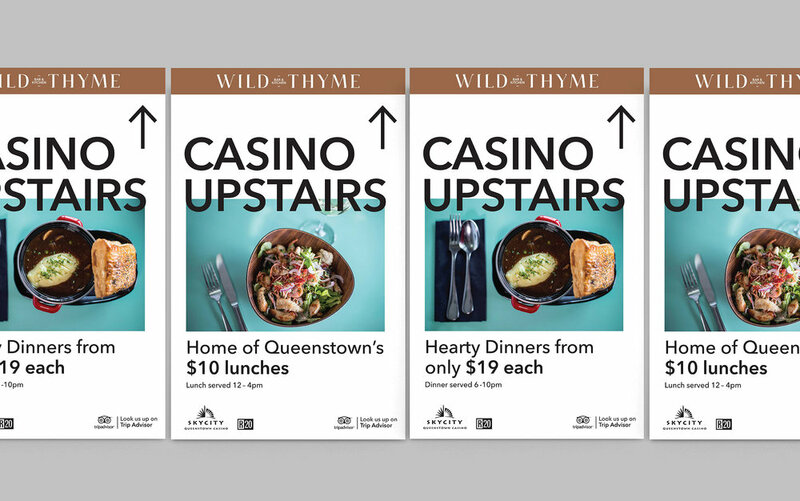 Wild Thyme Bar & Kitchen is part of SKYCITY Queenstown Casino. Rebrand Wild Thyme Bar & Kitchen brand identity. Simplistic, clean and honest approach. We created a bespoke typography playing with a tension between the modern and traditional style. The endings on the typography are organic. It simulates the feeling of wild movement of a thyme leaf. We’ve achieved with the design a graphic and conceptual subtlety that makes the brand personal and unique.